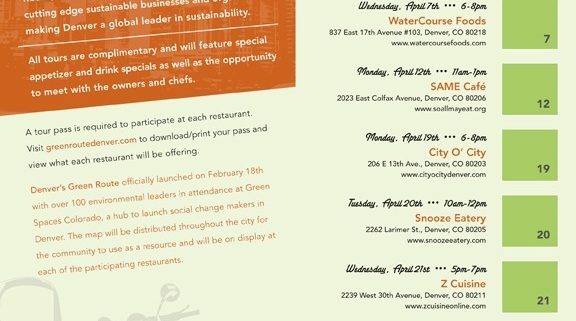 The tour, which is part of Green Space Colorado, will showcase eight of Denver’s greenest restaurants throughout the month of April. (And Root Down is one of the participants!) 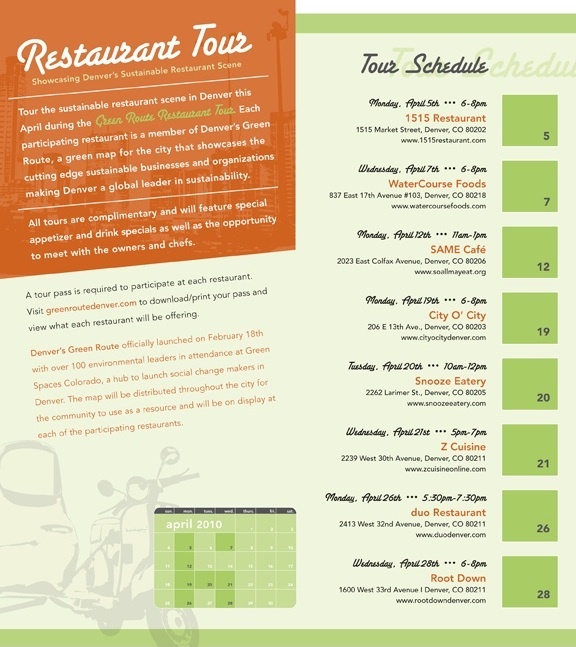 Learn about each restaurant’s green efforts while enjoying drink & appetizer specials. Tour passes are complimentary and can be downloaded here. Simply RSVP for the places you want to check out, present your pass to the host, and enjoy! Download the Green Route Map for a list of incredible earth-friendly businesses across the city. Hope you can make it to one or many of these incredible restaurants this month. Be sure to mark your calendars! Don’t Forget to Spring Forward! WebbChange enters “I am Free Enterprise” video contest!